Whether from children or pets, shoes, or recklessly dragged furniture, hardwood floors are almost guaranteed to get scratches over time. Luckily, there are some simple techniques that can be used to take on these imperfections on your own. 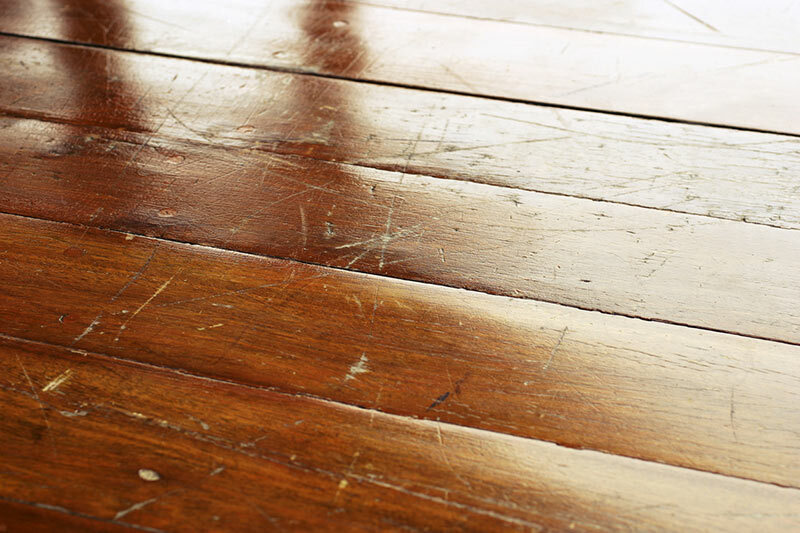 Read on to find out about the ways you can fix scratches on your hardwood floors. Light scratches can be easily fixed since they affect the top coating without making it down to the wood itself. The affected area should be dirt-free, so start by applying a floor cleaner, before wiping it away using a soft cloth. After the area dries completely, add a new layer of the finish. You should be careful about this technique because multiple applications of floor polishes and waxes can dull and discolor your floor. When this occurs, it will make it difficult to restore your floor’s original appearance. Some floor restoration materials refresh wood’s appearance. You can apply such material every several months. However, don’t use it on laminate or prefinished floors. If a minor scratch makes it to the wood, you can conceal it with a crayon-like wax stick. Wax sticks are available in a variety of tones at hardware or home improvement stores. Choose a color that closely matches your flooring’s color. If you’re the artistic type, you can get different hues and mix them to match your floorboards. Begin the fixing process by buffing the scratched area. Carefully rub wire wool over it. Alternatively, you can ease it out by applying fine-grade sandpaper several times. Be sure to work along the wood grain, or you’ll end up with a bigger, more noticeable scratch. Next, rub the matching wax stick over the area to fill it in and make it blend in with its surroundings. Eliminating deeper scratches requires a little more work as well as precision. One excellent way to repair such a crack is by using wood putty. Be sure to apply it with a plastic putty knife, as a metal one can bring about even more scratches. When the putty sets, sand it gently until it is level with the surrounding floor. Finally, remove dust from the area then reseal it by applying a finish. If your floor has many scratches or you’re not comfortable with any of the repair processes, don’t hesitate to call in the professionals at Elegant Floors. We are leaders in all aspects of hardwood floors serving the South Bay Area. 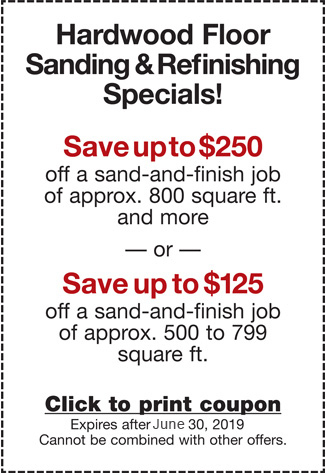 We’ve been providing flooring sales, installation, refinishing, and repair services for over 20 years. We always actively engage with our customers on every job. Contact us online or call us at 650-961-1339 or 408-773-8624 to learn more about our services.